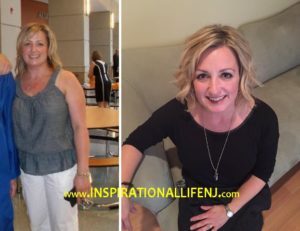 1) What inspired you to begin your lifestyle transformation? 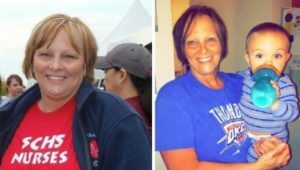 For quite some time, I had been noticing friends and acquaintances around town getting healthier, losing weight, changing before my eyes. When I asked them what they were doing they all said the same thing: “I go to Inspirational Life.” So in October of 2014 I contacted one of these friends, and I joined the contest that was running at that time- and I’ve been hooked ever since! 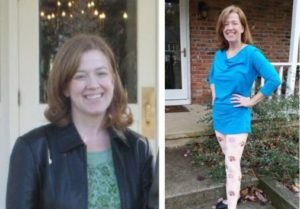 In the past I attempted several times to lose weight with diets, but the weight loss was always inconsistent and short lived. 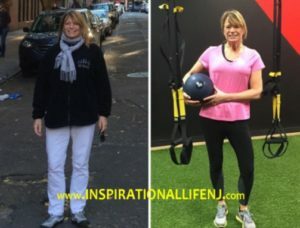 I had all the excuses as to why I couldn’t lose the weight: “I have an under active thyroid, my hormones are out of whack, I’m over 50, I’m too fat to exercise, I just overeat when I’m sad, I overeat when I’m happy, I’m bored, I have too much to do, I’m naturally big boned, I’m Italian and we cook a lot…” You name the excuse, I had it! My health started to deteriorate. I developed asthma and also arthritis in my foot and knees. I wasn’t sleeping well, waking up several times during the night. I was tired all the time and lacked energy. At the same time, my Mom started to show clear signs of Alzheimer’s disease. That worried me a great deal. Alzheimer’s disease unfortunately runs in my family. What if that happens to me in the future? I wouldn’t want that for my husband and daughter, having the painful task of caring for me as my brain and body begins to deteriorate. I decided that I needed to change my life for the better, lead a healthier, more active lifestyle and be a good role model for my daughter. There is no guarantee that by leading a healthier lifestyle I will not get Alzheimer’s disease, but at least I know that I am doing everything possible to keep my body and mind active and healthy. 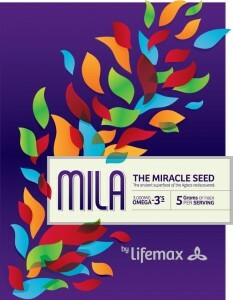 2) How did Inspirational Life help you achieve your goal? At the end of my first boot camp at Inspirational Life my arms and legs felt like jello! I was afraid I wouldn’t be able to drive home. But I persisted and came back for 2 more boot camps that week, and every week of the contest. When there was an exercise I couldn’t do or had trouble with, Cathie modified it for me. I never felt uncomfortable or out of place. I stuck to the foods on their list and paid attention to the portion sizes. The daily emails from Brian were so inspirational, and the recipes and food measuring tips were so helpful to me to stay on track and achieve my goals. As suggested by Brian and Cathie, I increased my water intake considerably and began eating more fruits and vegetables, organic meats and wild caught fish. I removed all processed foods from my diet and prepared meals with only fresh ingredients. I began to consume more muscle building protein, and less carbs. The weight came off slowly but consistently. As I got stronger, Cathie was there every step of the way making sure I didn’t slack off, handing me heavier weights, giving me the harder resistance bands, making sure my squats got lower, that there was “no belly hanging out” and that my “girls” touched the tire on the push ups! She never misses a thing, and there is no hiding from her! When I was upset that I had reached a plateau, Cathie said I was still eating too much. I didn’t believe her at first, but I bought a simple food scale like she suggested, and began weighing and measuring every single thing that passed through my lips. I hate to admit it, but she was right! I was “eating my face off” as she often says. At the end of the contest I joined Inspire Fitness as a full time member and for more than a year now I attend a class every single day, sometimes even two classes a day. Starting my day at Inspirational Life has become a part of my daily routine. On many days it is the very best part of my day because I know that I am taking the time to do something that is good for myself. 3) How have the results affected your life? 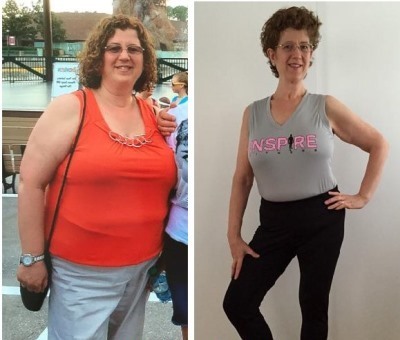 After 14 months of attending Inspire Fitness I have lost a total of 80 pounds. When I tell people that I lost that much weight, they are amazed! 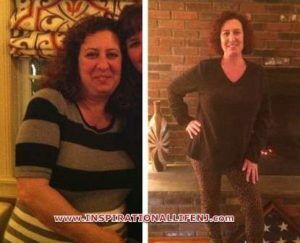 But they are more so amazed that I did it with just proper nutrition and exercise. My own doctors are in awe of my weight loss. My cardiologist said to me recently that most people can’t lose such a staggering amount of weight without surgery or some form of medical assistance. As a consequence of my weight reduction, I am no longer on asthma medication and I no longer suffer from arthritic pain in my feet or knees. I sleep soundly every night, and my husband tells me I’m not snoring any more. I have more energy and I feel so much lighter. My mind feels clearer and sharper as well- much more so then when I ate a carbohydrate heavy diet. My husband Vito who has always been very active and healthy, is so thrilled that I joined Inspirational Life. He has loved me literally through thick and thin, and has supported me every step of the way. At this stage of my life, my goal to lose weight was not because I wanted to look good but because I wanted to feel good. I must say, though, that I like what I see in the mirror, and it has made shopping for clothes a much more pleasant experience. 4) Describe Inspirational Life in one word. If I have to choose a word that to me best describes this awesome fitness establishment, it would be “trustworthy”. I trust that Inspirational Life will always be my happy place. I trust that I will always have support from my Inspire family. I trust that Brian will continue to be an inspiration to me as well as to many others, to change and improve their lives for the better. I trust that Cathie will get me to work out harder, lock my “girls” out, and squeeze my booty! And finally, I trust in the process – it works! I’m living proof that it does. Today I am half the woman I used to be because of you, Brian and Cathie! I could never have achieved my goals without your guidance and support. Thank you from the bottom of my heart.